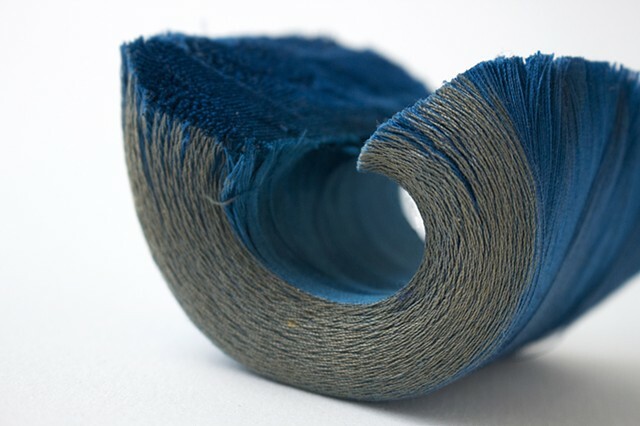 Part of a series of 5 spools of thread of varying sizes and colors, cut open and left to rest. All found objects, their histories embedded through faded colors and years of dirt. 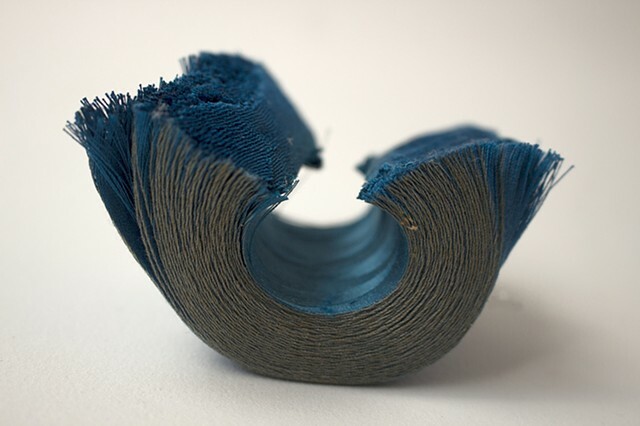 The simple gesture of cutting the neatly ordered single thread is both severe and gentle. One thread becomes a thousand.